Amerisleep is an online mattress retailer that emphasizes environmentally-friendly production and plant-based materials. Their manufacturing process claims to use less petroleum than with other foams. Amerisleep competes with other popular online mattress startups like Casper, Leesa, and Tuft & Needle. However, unlike these other companies, Amerisleep has a wide variety of mattresses to choose from, with varying degrees of firmness. Amerisleep ships their mattress rolled up and sealed in several layers of plastic. I was a little surprised it didn’t come in a box – I came home to find a gigantic, shrink-wrapped burrito on my doorstep. Oh well, the packaging isn’t a huge deal (although I would have used the flattened box to spread the weight over my bed frame’s slats). 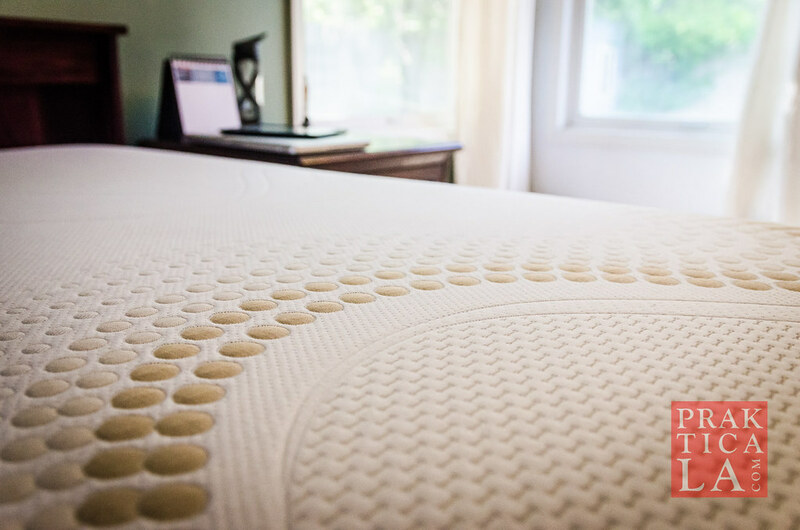 The Liberty bed is a 12-inch, “medium plush” mattress, with a top layer of “Bio-Pur” memory foam that Amerisleep describes as “open cell,” giving the foam cooling properties that aren’t present on conventional memory foam, which tends to collect and trap heat. 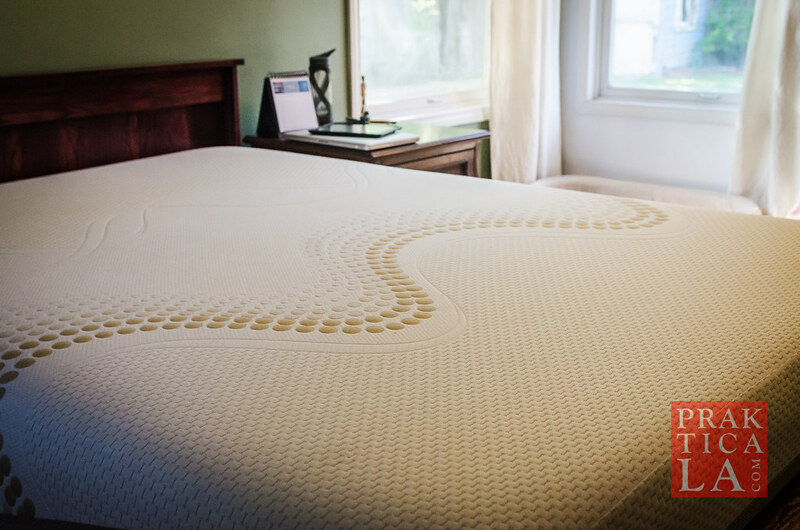 In contrast with our Tuft & Needle mattress, which uses a proprietary foam that springs instantly back to shape, Amerisleep’s Liberty mattress uses memory foam that retains it shape as it molds to your body weight. This results in more of a “hug” feeling as opposed to sitting on top of the mattress. While Yoselin prefers the “sink” that occurs with memory foam, I like a very firm surface with minimal sinkage. At any rate, both of us slept great on the Liberty bed. It offers sturdy and quiet sleep; the memory foam allows minimal movement transfer, so you won’t disturb your partner if you get into bed late (like I do). As I mentioned above, it is rated “medium plush,” and feels that way; if you like a good balance between firm and super squishy, the Liberty bed will likely be a good fit for you. 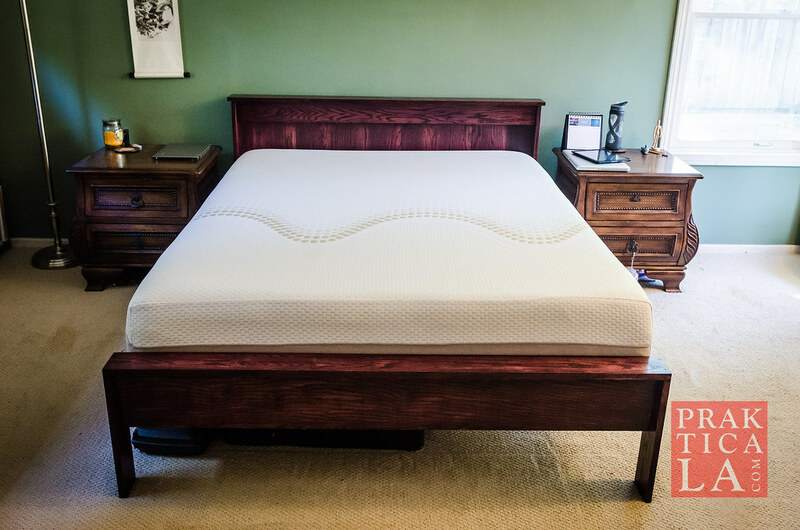 Other mattress models, like the Americana, Revere, Independence, and Colonial, are also available at differing levels of price and firmness. As is standard for modern online mattress retailers, shipping is free. Amerisleep gives you a 100-night risk-free trial, so if you aren’t happy with the mattress you can get a full refund and Amerisleep will donate the mattress to charity. It also comes with a 20-year warranty – 10 years replacement warranty and 10 years prorated. Amerisleep’s pricing is slightly higher than some of their online, one-mattress counterparts like Casper or Tuft & Needle, but still well under what you would be paying at a brick-and-mortar mattress store, where prices can climb into the several-thousand-dollar range (not to mention having to haggle and negotiate to get it). 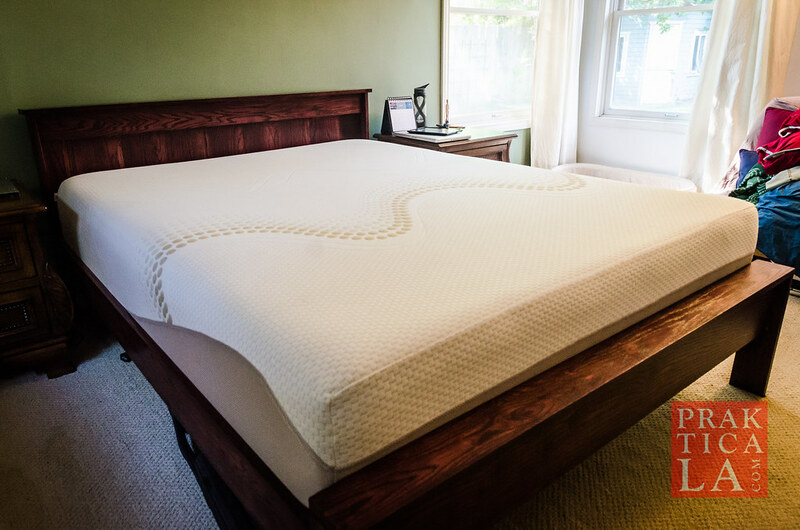 All in all, Amerisleep’s pricing is moderate and fair, particularly if you value their environmentally-friendly process and their broader selection of mattresses and firmness levels. The Liberty bed lists at $1199 for a queen size, but depending on the mattress size and model their other mattresses range between $749 to around $2500 each. You can also click this link to view Amerisleep’s latest promotion! PROS: Well-constructed, made in the USA, eco-friendly. Uses many natural materials. 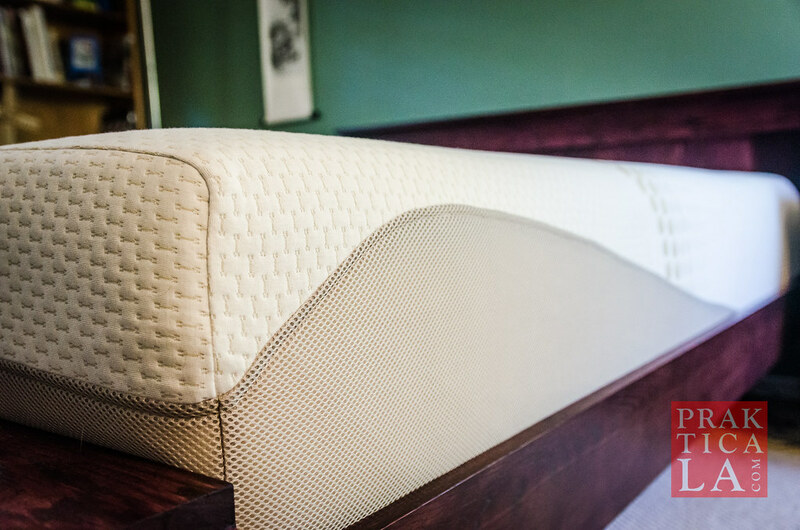 A variety of models available, depending on preference for firmness – unusual among trendy online mattress retailers. Comfortable, provides great sleep. Great trial/warranty policy. CONS: Memory foam “sink” isn’t for everybody (although many do like it). Pricing is somewhat higher than aforementioned competitors. Yoselin and I were very happy with our Liberty bed. It’s a great choice for anyone looking for a high-quality mattress and appreciates the company’s environmental stance. If your preference for firmness/plushness is especially particular, then you definitely should check Amerisleep out. Don’t forget to use this link to view Amerisleep’s latest promotion! 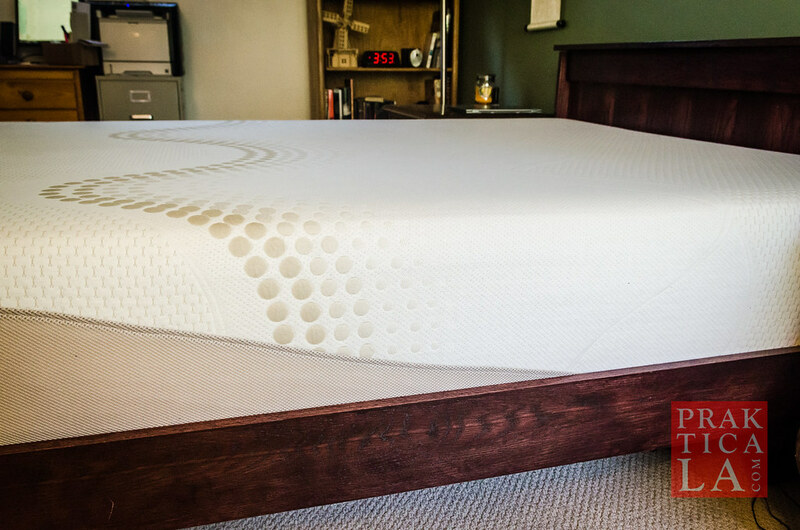 Also, check out my review on Tuft & Needle’s mattress – a simple, no-frills, low-cost entry in the online mattress market – here. EDIT: If you like our bed frame and want to build your own, you can read the step-by-step tutorial here! Have any of you tried Amerisleep’s mattresses? We would love to hear your feedback. Leave a comment below!